Deputy in the National Assembly of the French RepublicAs Deputy for French nationals living in Central Europe and the Balkans, Pierre-Yves Le Borgn’ travelled each week the 16 countries in his constituency: Albania, Austria, Bosnia and Herzegovina, Bulgaria, Croatia, Czech Republic, Germany, Hungary, Kosovo, Macedonia, Montenegro, Poland, Romania, Serbia, Slovakia and Slovenia. His constituency office was situated in Cologne. He was a member of the Foreign Affairs Committee and specialized in rights and freedoms, European affairs and combating global warming. He authored 13 parliamentary reports. He handled, among others, the ratification process of the Council of Europe Convention on Laundering, Search, Seizure and Confiscation of the Proceeds from Crime and on the Financing of Terrorism and of the Paris Climate Agreement. His work also included a report on reforming the European Neighbourhood Policy (ENP) and an initiative report on the Western Balkans and the rule of law. At the National Assembly and in the French national debate, Pierre-Yves le Borgn’ has committed to defending the European Court of Human Rights (ECHR) and its case law. He prepared a constitutional bill on parliamentary control of the implementation of ECHR case law. Pierre-Yves Le Borgn’ chaired the parliamentary France-Germany friendship group. He represented the National Assembly on the Board of the Franco-German Youth Office (FGYO) and, within the Office, took part in discussions that brought about the creation of the Regional Youth Cooperation Office of the Western Balkans (RYCO). Pierre-Yves Le Borgn’ dedicated a considerable part of his term as a Deputy to the Council of Europe. As a member of the PACE Committee on Legal Affairs and Human Rights (AS/Jur), he was rapporteur on the implementation of ECHR judgments. Preparing that report involved working closely with the Commissioner for Human Rights and with rights defenders, NGOs and the authorities of many Member States. This was also true for the report for opinion on combating terrorism while respecting the European Convention on Human Rights. Pierre-Yves le Borgn’ was an active member of the Committee on the Election of Judges to the European Court of Human Rights (AS/Cdh). In his capacity as a member of the Committee on Culture, Science, Education and Media (AS/Cult), he presented two reports on the educational and cultural networks of communities living abroad and on integration of refugees. He chaired the Sub-Committee on Culture, Diversity and Heritage and represented PACE within the European Commission against Racism and Intolerance (ECRI). Pierre-Yves was a founding member of the No Hate Parliamentary Alliance, within which he represented the French Parliament. He has regularly contributed as an orator on the rule of law, intercultural relations, and on the responsibility of contracting companies during events organized by the Council of Europe, and particularly the World Forum for Democracy. At the Assembly of French Nationals Abroad (advisory body elected by French expatriates and chaired by the Foreign Minister), Pierre-Yves le Borgn’ worked on rights, freedoms and political representation. He promoted the parliamentary representation of French nationals abroad at the National Assembly, giving rise in 2008 to a revision of the Constitution and in 2012 to the first legislative elections in French communities outside France. He is also committed to respect for the free movement of persons in the European space and to the concrete implementation of European citizenship, working with the Europeans Throughout the World federation, within which he represented the Français du Monde (French people throughout the world) association. Pierre-Yves Le Borgn’ was responsible for developing the business in Europe. His responsibilities covered industrial relations, particularly in the areas of recycling, the circular economy and sustainable development. He worked on the construction of plants to produce solar panels and several major solar farms in Europe. 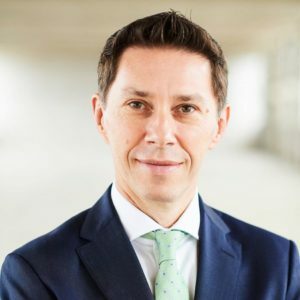 As a member of the legal department, Pierre-Yves le Borgn’ advised the company on the implementation of major European legislative provisions in the sector of speciality chemicals and took part in many industrial negotiations. His responsibilities included competition law, environmental law and energy law. Pierre-Yves le Borgn’ monitored national and European legislative developments in the areas of taxation and international trade. 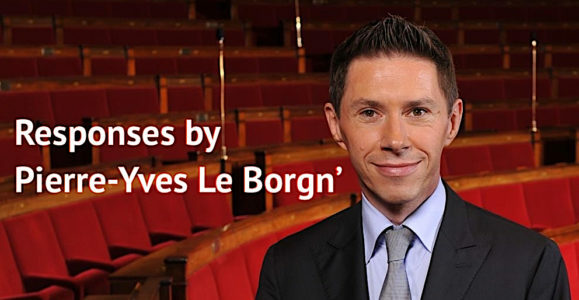 The responsibilities of Pierre-Yves le Borgn’ covered commercial communications, with a particular focus on the development of online activities. Pierre-Yves le Borgn’ led the representation office for the economic activities of his native region, Brittany. He advised Breton businesses and cooperatives on the consequences of Common Agricultural Policy (CAP) reform. Under the leadership of his PhD supervisor at the College of Europe, Pierre-Yves le Borgn’ carried out a six-month internship at the Court of Justice, dedicated to analysis of references for preliminary rulings from French courts and the drafting of annotation of case law for several judges. This professional experience corresponds to the national service fulfilled by Pierre-Yves le Borgn’ with the Californian subsidiary of a French sporting goods distributor. His roles covered relations with the parent company and support for the buying department. Pierre-Yves le Borgn’ gave classes in French constitutional law, European law and public freedoms for students preparing recruitment examinations for the local and national civil service. Freedom prize awarded by the International Peace Centre in Sarajevo – 2010. For the work and activities on the struggle for freedom, peace and development in Bosnia and Herzegovina, Europe and the world. Médaille Charlemagne award – 2015. This award recognizes a European personality who has made a unique contribution within the field of media and human rights, to the process of European unification and the development of a European identity. City of Geneva PEC Press Emblem Campaign Award – 2015. For the work on the issue of the safety of journalists and media freedom in Ukraine during the crisis and “exceptional personal commitment for the promotion of freedom of information in the whole region. Dialogue of Cultures award – Council of Media congress – Hermitage Museum –Saint Petersburg, Russia 2015. For the work with young journalists. Concordia Press Club prize, Vienna, Austria – 2015. The Concordia Prize is awarded for outstanding journalistic achievements in human rights, democracy, focusing on freedom of the press and freedom of information. Grand Decoration of Honour awarded by the President of Republic of Austria – 2017. For the work as the OSCE Representative on Media Freedom and for services to the Republic of Austria. The decoration is given to individuals from Austria and abroad for their special contribution to the country and it is one of the greatest honours bestowed by Austrian Republic. Dunja Mijatović was the OSCE Representative on Freedom of the Media for the Organization for Security and Co-operation in Europe and the highest-ranking female free-expression advocate in the world. 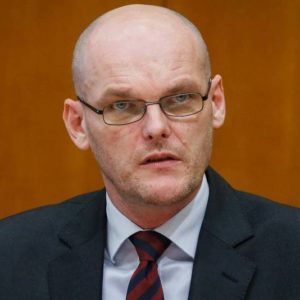 Mijatović was appointed in 2010 to protect and promote free media and free expression in the 57 countries of North America, Europe and Central Asia that comprise the OSCE. The mandate directs the Representative to provide an “early warning function and rapid response to serious non-compliance with regard to free media and freedom of expression.” The OSCE Representative on Freedom of the Media is appointed in accordance with OSCE procedures by the Ministerial Council upon the recommendation of the OSCE Chairman-in-Office after consultation with the 57 participating States. 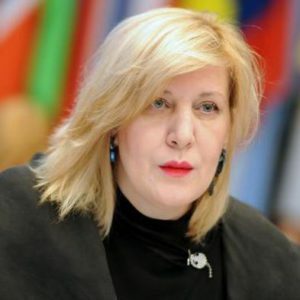 In this role, Dunja Mijatovic was in charge of the overall direction and supervision of the activities of the OSCE human rights programme related to the freedom of expression, media freedom, communications, safety of journalists, access to and free flow of information and advising on fighting on line radicalisation and terrorism while protecting human rights. The tasks include provision of technical advice to states on media issues; public diplomacy campaigns and events; diplomatic outreach in cases of concern, and stakeholder engagement. It also includes the administration and management of the Office, the budget process and human resources. Mitotic was a member of the team responsible for the creation and development of a legal, regulatory and policy framework for the media in a complex post-war society and further involved in setting up a self-regulatory press council and directly involved in drafting and implementing Bosnia and Herzegovina’s first hate speech regulation. She was also involved in setting up the first Free Media Helpline in South East Europe. As the member of the Council of the Forum on Digital Terrestrial Television (DTT) in Bosnia and Herzegovina (2006-2009), she was directly involved in the development of the national strategy for the introduction of digital TV and bridging digital divide in BiH and the region. This first-hand experience in fighting and successfully regulating wide-spread hate speech in broadcasting media enabled her to gain tremendous expertise and international recognition in this field. Dunja Mijatović joined the Independent Media Commission (IMC) on its establishment in 1998, and since then she has been involved in communications and media regulation in BiH. This Agency was established as part of the international peace effort in Bosnia and Herzegovina with the objective of being a leader in modern trends of efficient and effective communications regulation. Special Assistance Task Group – processing of Refugee, Special Humanitarian and Special Assistance Category applications. Dunja Mijatović has spent more two decades working on protection of human rights combined with 7 years of leading an intergovernmental human rights institution and 12 years of leading a department of the state institution. Her commitment to human rights was evident from the start of her career in Bosnia and Herzegovina. She was devoted towards establishment of full respect of human rights including right of people to freely express themselves in a post war and post conflict environment. She worked on delicate issues of post-war institution building, establishing broadcasting regulation and ways to deal with hate speech and dangerous speech to enable a political climate facilitating human rights and freedoms, peace and security. The beginning of her career was also very much related to the establishment of culture of respect of human rights and cooperation with international organisations and civil society in that respect, among which a direct and most active and fruitful cooperation with the Council of Europe. She was a member of CDMM, functioning at that time, as well as the member of the Standing Committee on Transfrontier Television (T-TT) and she additionally chaired the Council of Europe Group of Specialists on freedom of expression and information in times of crisis (MC-S-IC) from 2005 – 2007. She has in-depth knowledge about the Council of Europe mission and tasks and the positive impact different structures make in member States, particularly during a time of transition and in the time of crisis. In her daily work, she maintained a close liaison with other international and regional organisations such as UNHRC, UNESCO, Council of Europe and the European Union, and many other regional and national institutions. In numerous cases, she has worked with these organisations to build consensus in highly difficult political environment. She worked and cooperated closely on different issues with the previous and current CoE Commissioner for Human Rights. Additionally, through her engagement with leaders of several countries, she managed to develop an atmosphere of trust to resolve some of the most acute human rights violations. Her work also included regular visits to prisons that were granted by the OSCE participating States. She also extensively worked on the issues related to the protection of minors, LGBTI rights, women’s rights and gender equality, particularly the intensification of hate speech against women, especially on the Internet, fight against propaganda for war and hatred and tackling the issue of fake news phenomena, counter terrorism and violent extremism and other grave breaches of human rights. Under her leadership, many communiqués and resolutions were adopted to help raise awareness and resolve problems related to the abovementioned topics. Dunja Mijatović was President of the Board of the association “Your RIGHT” Bosnia and Herzegovina. The association is local, non-governmental and non-profit organisation with its headquarters in Sarajevo, Bosnia and Herzegovina. The Association was originally founded in 1996 as a network of information and legal aid centers under the auspices of the United Nations High Commissioner for Refugees (UNHCR) with its mandate to ensure safe, legal, and dignified return of refugees and displaced persons to their prewar homes. Since 1996, the Association has provided aid to some 450,000 refugees, returnees, displaced persons, minority groups, and vulnerable groups of domicile population in legal matters such as: property repossession, social, economic and cultural rights, discrimination in access to employment, utilities, education, and social welfare, as well as other human rights guaranteed by the European Convention for the Protection of Human Rights and Fundamental Freedoms and other international legal instruments. Dunja Mijatović is honorary director of EDUS – EDUCATION FOR ALL a non-government, not-for-profit organisation that offers advanced scientific methodology, through cooperation with public preschool and primary education institutions, for children with and without development delays. It also assists in education and advancement of professionals in this area, education and support to parents and scientific cooperation in the wider professional community. EDUS was founded in November 2010, by a gathering of professionals, parents and citizens, as an expression of the need to make an alliance of individuals and groups that share their vision of the full potential of each child, regardless of their stage of development. Dunja Mijatović was both the first EPRA chair from a non-EU country and the first woman to chair this network. EPRA is the world’s largest network of 52 media regulatory authorities, while the European Commission and the Council of Europe are standing observers of the Platform. The Secretariat of the EPRA is currently based in Strasbourg (France) and is hosted by the Council of Europe’s European Audio-visual Observatory. She was involved in bringing together EPRA and the Mediterranean Regulatory Authorities Network (RIRM) in order to start exchanging views and experience related to audio-visual matters. RIRM was established to strengthen the historical and cultural links between Mediterranean countries, and to give the opportunity to the independent regulatory authorities from the Mediterranean area to identify, in the background of globalisation, the common challenges they have to face. For two mandates Dunja Mijatović chaired the working group of experts from the Council of Europe member States. Her leadership of the group’s work resulted in two major resolutions: Declaration by the Committee of Ministers on the protection and promotion of investigative journalism and Guidelines of the Committee of Ministers of the Council of Europe on protecting freedom of expression and information in times of crisis (both adopted by the Committee of Ministers on 26 September 2007 at the 1005th meeting of the Ministers’ Deputies). Dunja Mijatović was President of the Board of the association “Your Right“ Bosnia and Herzegovina from 2005 to 2007. Dunja Mijatović is honorary director of EDUS – EDUCATION FOR ALL – a non-government, not-for-profit organisation that offers advanced scientific methodology, through cooperation with public preschool and primary education institutions, for children with and without development delays. Dunja Mijatović is a frequent speaker at the conferences, guest lecturer at the universities and a regular contributor of articles and commentary pieces in international media on subjects such as human rights, peace building, combating hate speech, media freedom, broadcast regulation, new media, and journalists’ safety. In 2012, Mijatović topped Guardian poll of people who have had the most impact in the battle to keep the internet open. She addressed conferences and student halls in the U.S., Russia, Italy, Western Balkan countries, Turkey, Iceland and other countries. She is a regular speaker at the academic forums e.g. George Washington University – Inaugural lecture – Global Internet Freedom and Human Rights Distinguished Speaker Series, numerous lectures at the Columbia University New York. Last year she delivered annual Harriman lecture at the Harriman Institute, Columbia University of the City of New York – Free Expression in the Age of Security Threats. She was frequently interviewed by international media (e.g., CNN, BBC, Al Jazeera etc.) on issues related to media, access to information, security, fight against terrorism etc. She published numerous reports and books on such issues as media and communication policy, human rights and security, human rights and fight against terrorism and violent extremism, fundamental communication rights, new media and technology, and media in transition. She provided input into a set of annual joint declarations on the global policies on media freedom, communications and recommendations thereof. Translated into several languages, these and other publications serve the academic and political debate and are widely used in college classrooms. She has in depth knowledge and expertise in strategic communications and digital platforms and new media tools including social media. She was an early participant in the global discussion about new media and the digitalisation of journalism. During her tenure at the OSCE, she launched several campaigns aimed at raising awareness and engaging key actors on emerging issues related to human rights violations. These include the anti-impunity campaign “Chronicle of Threats” which received the Bronze Lion at the world’s largest festival of creativity and public relations in Cannes. She also pioneered engagement in the issues of online safety of female journalists, dealing with abuse and hate speech, and started a discussion at the OSCE on fighting online radicalisation and terrorism while protecting human rights. Since 1996: worked as a consultant or project manager on various short and long term human rights and rule of law related projects (with focus on issues related to security services / law enforcement and human rights, government accountability & anticorruption, rule of law in conflict and post-conflict environments, prison conditions, right to privacy in information society, anti-discrimination) managed / funded by the: Council of Europe (Strasbourg), OECD (Paris), European Commission (Brussels), UNDP (New York), United States Institute for Peace (Washington), UNHCHR (Geneva), World Bank (Washington), Irish Centre for Human Rights (Galway), UNMIK (Kosovo), USAID (Washington), IRZ (German Foundation for Int. Legal Cooperation, Bonn). Regions of work/field experience: EU, Russian Federation, Eastern and South-eastern Europe, Turkey, Central Asia, China, Afghanistan, Mexico, Brasil, North Africa (Tunisia, Egypt). Author and co-author of several books and articles on (comparative) police & security services and human rights, rule of law, government accountability, and the right to privacy in view of modern surveillance technologies. 1.What are the main qualities a Council of Europe Human Rights Commissioner needs? 2. Which human rights advocacy and diplomatic tools in the Commissioner’s mandate do you consider most useful and how would you intend to use them taking into account that human rights are under pressure in Council of Europe member states and the space forcivil society is shrinking? I would primarily rely on country reports and hence on regular country visits throughout the 47 Member States. This is the number one mission of the Commissioner. Depending on topical developments or a burning situation in Member States of the Council of Europe, I would step into the public debate through op-eds and TV interviews. I also intend to use the third pary intervention procedure before the European Court of Human Rights in some critical cases not only for the country concerned but for the Council of Europe as a whole, especially on the protection of human rights defenders and the protection of the rights of children at large. 3. Which are the most important human rights problems which Europe currently faces and how would you propose to address them? And what would be your preferred approach – outspoken or discreet diplomacy? The Commissioner should be as transparent (and therefore public) as possible, yet as discreet as possible when circumstances require. To take one example, I see a growing role for the Commissioner to reach out to relevant ministerial authorities while on a mission in a country to obtain the execution of ECtHR judgements pending before the Committee of Ministers. This exercise certainly requires lengthy talks and some discretion as a consequence. Therefore, I would always privilege flexibility as to what needs to be made public and what should be kept discreet for the sake of efficiency. One-on-one discussions with relevant authorities is my preferred approach to address the most important human rights issues: fighting intolerance and hate speech; combating antisemitism, genocide denial and islamophobia; protecting the rights of refugees and asylum seekers; protecting children’s rights; protecting women’s rights, especially on the access to sexual health services and on the prevention of violence against women; ensuring the rights of LGBTI people to a private life, freedom of expression and freedom of demonstration; protecting media freedom; defending the independence of the judiciary; combating prison overcrowding; fighting all discriminatory restrictions to the registration and/or funding of NGOs. 4. How would you engage with member states which refuse to follow your or the Council’s recommendations or judgements of the European Court of Human Rights? I would keep all channels of dialogue opened, especially the informal ones with gouvernment authorities and permanent representatives in Strasbourg. I would of course make my reactions public but abstain from using any punitive tone as the munitions of the Commissioner are words, proposals, convictions and influence. For these munitions to be effective, it is critical to keep working with a positive vision of rights and freedoms. From my past experience as PACE rapporteur on the execution of EctHR judgements, I know that the reality behind the non-execution is both diverse and complex. This is to be factored in by the Commissioner. Yet, nothing is impossible as the recent solution found on the execution of the Hirst case showed. I was born optimistic (but not naive) and I believe that dialogue, even over a long period of time, yields positive results. 5. What is your vision of your relationship with the Committee of Ministers and the Parliamentary Assembly? Will you see your role as that of a free actor in the Council or rather one who has to take the interests of other Council institutions into account. I would be available for all institutions of the Council of Europe. This is the privilege of an independent organ such as the Commissioner for human rights: neither de jure nor de facto hierarchy. My hope regarding the relationship with the Committee of Ministers would be for the Commissioner to be invited to topical debates on burning issues (for example, the independence of the judiciary) in addition to delivering a quarterly report to the representatives of Member States. Regarding PACE, I would make myself available for all invitations to address committee meetings and plenary sessions. I believe that the presentation of the Commissioner’s yearly report once a year in plenary is not enough. The Commissioner should be seen more often by parliamentarians. Parliamentarians should be able to reach out easily to the Commissioner. This is a commitment that I want to take: to be available for all parliamentarians, especially during part sessions in Strasbourg. The same commitment applies to the Conference of INGOs and to the Congress of Local and Regional Authorities. 6. Who do you think would be your main partners in your work as the Human Rights Commissioner and in which ways do you intend to engage with them? What will be your policy towards independent civil society organizations operating in the Council of Europe member states? The Commissioner has numerous partners, notably the human rights defenders. This is why I would engage heavily in order to protect them, including through third party interventions before the ECtHR. Yet, I would consider Member States authorities as partners too. I would not work in opposition to States, but with them as solutions most often than not require their buy-in and active participation. To sum up, independence, trust and openness should be the hallmark of the result-oriented dialogue that I would like to promote with all partners. 7. If elected, what communication strategy would you adopt to increase the visibility and impact of the High Comissioner? I would build up solid country reports and distribute them widely through the Commissioner’s web site and its access to social networks. I would market them through press and TV interviews in the countries concerned. I would also consider shooting short movies illustrating the activities of the Commissioner. One of my ideas would be to set up a Youtube channel for the Commissioner to boost visibility. The candidates shall be eminent personalities of a high moral character having recognised expertise in the field of human rights, a public record of attachment to the values of the Council of Europe and the personal authority necessary to discharge the mission of the Commissioner effectively. Integrity, expertise, international recognition, public record, independence and courage are MUST qualities. In my view, it is of utmost importance that the new Commissioner for Human Rights has a proven, longstanding and recognized successful track record of engaging in, and intervening on, human rights issues, including working in the field, traveling to conflict zones to meet vulnerable groups and those in danger and seeking resolution of human rights problems. At this moment, Europe faces several very serious crises with human rights implications, ranging from armed conflict to terrorism and violence against persons. In order to have the personal authority necessary to discharge the mission of the Commissioner effectively, any candidate should have a long record of achievements in the human rights area. This requires credibility through experience and vision as well as diplomacy and negotiation skills. The Commissioner should be an internationally recognized personality in the Council of Europe region and beyond, known by Governments and among civil society organizations, and a person who is able to serve the cause above particular politics or party lines. It would be beneficial if there is public record of statements, publications, interviews, articles and engagement at conferences related to human rights and fundamental freedoms. 2. Which human rights advocacy and diplomatic tools in the Commissioner’s mandate do you consider most useful and how would you intend to use them taking into account that human rights are under pressure in Council of Europe member states and the space for civil society is shrinking? There is at present global anxiety related to human rights, and this needs to change. We are living in dangerous times, times of fear and uncertainty for many in Europe. Terrorist attacks and new lines of conflict are fundamentally altering and challenging the way we think about our basic human rights. The threats we face nowadays are unprecedented. Security challenges are global and less predictable. And this is exactly the time we need to come back to basics and use all the tools we already have at our disposal. The Commissioner for human rights needs to operate swiftly, especially during political crises and conflicts. The Commissioner needs to have access to the whole of territory encompassing CoE member states. It is clear from the mandate that Commissioner has very broad tools at disposal, but I would put them all under the paradigm of being present and being engaged. It is all about full dedication and unwavering condemnation of human rights violations. It is also about raising awareness, but also about being approachable. I would aim to establishing an open-door policy for governments, other human institutions and civil society. I would work very closely with governments and institutions dealing with human rights in a transparent, honest and constructive manner. Most importantly, I would meet and talk to people. However, it is only with the participation of all parties, through open dialog and with the inclusion of all layers of society, that we can start tackling solutions to many problems, even those that seem hard to overcome. The Commissioner’s mandate is primarily one of an eminent advocate for the respect of human rights, which requires negotiation skills with Governments as well as communication skills for raising awareness within our societies. 3. Which are the most important human rights problems which Europe currently faces and how would you propose to address them? What would be your preferred approach – outspoken or discreet diplomacy? We have no time to waste and the Council of Europe has no time to waste. The clock is ticking, and the alarm is trying to warn us to start moving in yet another battle to defend our human rights. As societies, we are at the cross roads and we need to join our voices and our forces while defending humanity. It is paramount that we achieve recommitment and reaffirmation of our commitment to human rights for all and bring back the trust to the importance of it. • Social and economic rights, education and employment. Talking from my personal work experience, the best approach to dealing with such issues depends on the case and its urgency. If we are, for example, dealing with large scale human rights violations, the Commissioner must be stand up and be the voice for the voiceless. However, if we are dealing with particularly sensitive cases, quiet diplomacy might give better results. Sometimes both approaches need to be combined. I would work and build on the legacy of all three Commissioners. Close cooperation with all other Council of Europe bodies is essential. I would also work closely with civil society in accordance with the mandate given to the Commissioner under Resolution (99) 50. My promise would be to build bridges, seek dialogue and effective resolutions of the most acute problems, travel wherever and whenever I am needed, promote cohesion, education and equality. However, I would have no hidden agenda at any time, but serve as Commissioner for all defending #humanrightsforall. My view is that human rights are indeed universal and that no country is beyond scrutiny. Human rights and the rule of law have secured peace among member states as well as individual justice. Any violation of human rights is a challenge to peace and humanity in Europe. At the same time, we need to be realistic to be able to tackle the most burning issues our societies are facing today. I would remind all member states of the commitments they voluntarily agreed to uphold. I would seek cooperation and engage, and I would be persisting and would not give up in addressing the issue of concern no matter how difficult it might be. As stated above, silent diplomacy and direct talks with Governments have been used successfully by me for many years in my prior function with the OSCE. I also believe that specific assistance activities for member states should be developed further by the Commissioner, in close cooperation with the ECtHR, the Committee of Ministers and the Parliamentary Assembly. However, human rights are not negotiable. Therefore, I would use all tools at my disposal and encourage states to effectively engage also with civil society in implementing ECtHR judgements. 5. What is your vision of your relationship with the Committee of Ministers and the Parliamentary Assembly? Will you see your role as that of a free actor in the Council or rather one who must take the interests of other Council institutions into account? The various responsibilities of all structures are very clear. I would follow the mandate and move on my own in pursuing the mandatory tasks. Institutional independence is an essential part of the various mandates. However, it goes without saying that I would cooperate closely with the Committee of Ministers, the PACE, the Secretary General and all other Council of Europe bodies, in order to build up synergies, strengthen the human rights impact of the Council of Europe and avoid wasting resources by duplicating work. The prior Commissioners have regularly reported to the PACE during plenary sessions. This should not only be continued, but intensified. The Commissioner could usefully be present at PACE meetings and invite committees to be represented at events organised by the Commissioner. The same approach would be useful regarding the Committee of Ministers, which may wish to hear the Commissioner in its Rapporteur Group on Human Rights or during thematic debates. Inter-institutional synergies within the Council of Europe are also needed for an effective cooperation with other international organisations, including the UN, the OSCE and the European Union. Within the remit of the Commissioner’s mandate, the Commissioner may be in a privileged position to seek close cooperation and complementarity with the EU Commissioners, UN High Commissioner for Human Rights in Geneva, but also with the new UNESCO Director-General, as well as OSCE institutions, including Representative on Freedom of the Media. If elected, I would see that our joint work and sometimes out joint voice brings more clarity and resolutions for issues related to human rights. I would be leading in attempting to bring us together. At the same time, I would always leave an option to act independently and swiftly where necessary. Part of this question has already been answered by me in the above chapter, and I do not want to repeat what I have said. I would closely liaise with other international and regional human rights organizations such as UNHRC, UNESCO, OSCE and the European Union. In addition, I would use diplomatic skills and expertise acquired through my work with government officials, diplomats, politicians and civil society organizations from all 57 OSCE participating states over the past seven years. Obviously, I would give importance to close cooperation with regional and national institutions, including ombudsmen. In my previous position with the OSCE, I have regularly and frequently worked with these organizations to build consensus in difficult political environments. Finally, through my engagement with leaders of several countries, I managed to develop an atmosphere of trust to resolve some serious human rights problems. I would of course work also with civil society organizations; all my career is based on the work with civil society. The Commissioner cannot implement the mandate in full without cooperation with civil society organizations. Civil society organizations, journalists, academia, private sector actors, faith communities and others are indispensable to achieving outcomes in the human rights sector. I believe that there is a space and a need to increase this cooperation and I would also like to see improved institutional co-operation with the INGO Conference of the Council of Europe, for instance in relation to defending freedom of association. The key word of success is simple – it is one word: implementation. The norms, resolutions, treaties are there to guide us. We need the political will to make sure they are realized. But this is not a matter for governments only. We must engage our societies at large in the implementation and involve everyone in a dialogue on human rights. And this is where the Commissioner should play a crucial role. If human rights violations continue, it is clear we are not effective enough. We must do more; we owe it to those suffering from terrible violations right now. 7. If elected, what communication strategy would you adopt to increase the visibility and impact of the Commissioner? In all my previous roles I achieved much greater visibility of the institution I worked for or led. I would be present in public, engage with the public and promote Council of Europe values in local and in international media. I would use my expertise in strategic communications on digital platforms and new media tools including social media. As I was an early participant in the global discussion about new media and the digitalization of journalism, I am an avid social media user myself, leveraging digital platforms to advance the reach and impact of public messaging campaigns. It is always important to define the purpose of a campaign and the goals that we want to achieve. I think it is worth breaking down barriers and engaging communities in understanding the importance of human rights for our wellbeing and how human rights can be the basis for reconciliation processes and for building bridges among communities in difficult times. All of this with an active engagement of all stakeholders can bring more visibility and credibility to the work of the Commissioner for Human Rights and ultimately to the whole organization.